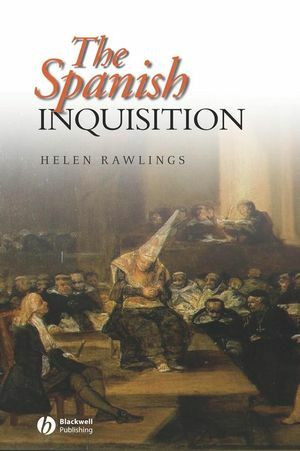 This book challenges the reputation of the Spanish Inquisition as an instrument of religious persecution, torture and repressionand looks at its wider role as an educative force in society. A reassessment of the history of the Spanish Inquisition. Challenges the reputation of the Inquisition as an instrument of religious persecution, torture and repression. Looks at the wider role of the Inquisition as an educative force in society. Draws on the findings of recent research by American, British and European scholars. Includes original documentary evidence in translation. Helen Rawlings is a Lecturer in Spanish at the University of Leicester. Her previous publications include Church, Religion and Society in Early Modern Spain (2002). List of Maps and Plates. 1 The Historiography of the Inquisition. The Four Seasons of the Inquisition. 2 The Inquisition as an Institution. The Office of Inquisitor General. The Inquisition in the Provinces. The Procedures of the Inquisition. The Finances of the Inquisition. Inquisitors General of Castile and Aragón, 1483--1818 (Appendix). 3 The Inquisition and the Converso. Anti-semitic Tensions in Spanish Society. The Statutes of Limpieza de Sangre. The Beginnings of the Spanish Inquisition. The Expulsion of the Jews. 4 The Inquisition and the Morisco. 1560--1570: Coercion and Revolt in Granada. 1570--1600: The End of Tolerance in Aragón. 1600-1609: The Route to Expulsion. 5 The Inquisition and Protestantism. Illuminism and Humanism under Attack. Innovation in Religious Life Condemned. Inquisitorial Censorship and the 1559 Index. 6 The Inquisition and Minor Heresy. (b) Bigamy and Sexual Promiscuity. 7 The Decline and Abolition of the Inquisition. The Inquisition under the Bourbons. The Cortes of Cádiz, 1810--1813.